Pure 100% Linen Hemstitch Table Linens. Our lovingly hand crafted and hand stitched napkins (12 pack) and table cloths are sewn with hemstitch detailing. The Linen fabric is hand woven by skilled artisans using centuries old weaving techniques. Napkins measure 20x20 and Table Cloths are available in a variety of sizes. The pure Linen fabric works well in both casual and formal settings. Colors available - Ivory, Natural and Charcoal. Placemats and Table Runners are also available. Each Item sold individually. 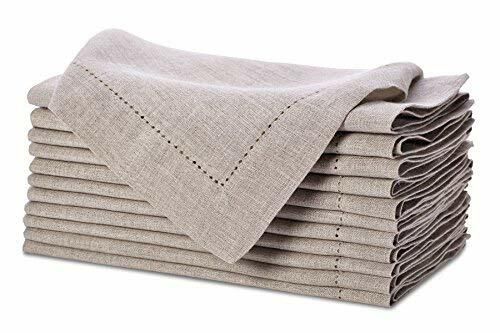 100% Pure Linen Elegant Hemstitch Table Linens - Choose from Napkin (12 Pack) and Table Cloths - Each Item Sold Individually Available in Natural, Ivory and Charcoal. 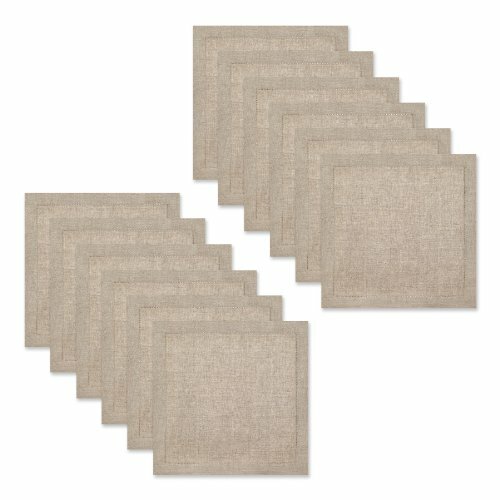 Napkins measure 20x20 inches and table cloths measure 60x60, 60x90, 60x108 and 60x120 inches. Pure 100% Linen fabric works well in both casual and formal settings. Enjoy the elegant and sophisticated luxury of Pure Linen.